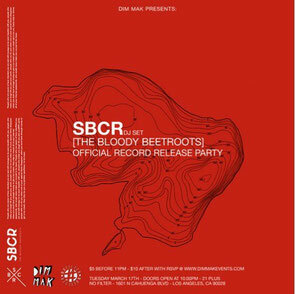 Dim Mak mainstay Sir Bob Cornelius Rifo of The Bloody Beetroots unleashes his newest musical iteration - SBCR. 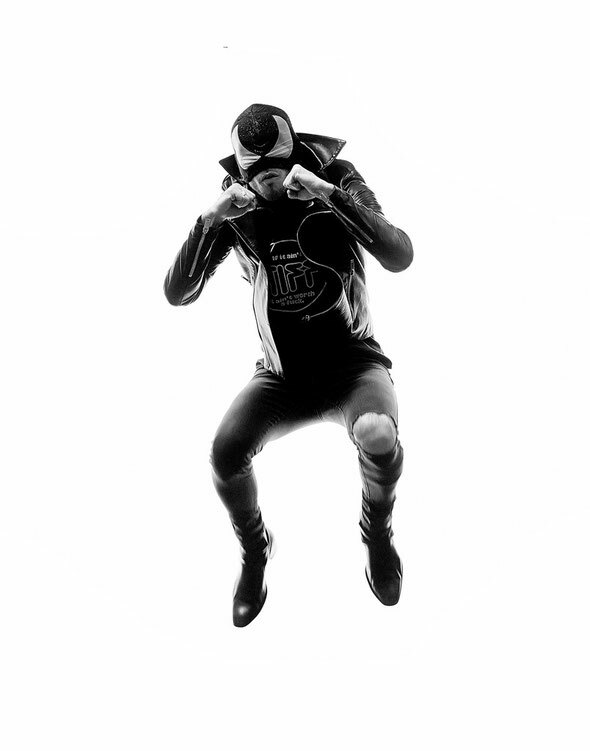 While The Bloody Beetroots remain an eclectic, rock-influenced, live electronic band, SBCR is Rifo’s strictly DJ-performance moniker under which he releases similarly dancefloor-driven productions. SBCR will unveil his inaugural EP ‘SBCR & Friends, Vol. 1’ 17 March on Dim Mak Records featuring collaborations with hand-picked up-and-comers Razihel, Moon Bounce and Eliza Bee & His Majesty Andre. The six-track EP is a sampling of Rifo’s signature electro-house, dance-punk flavour that showcases his production skills. SBCR teams up with Italian producer Razihel for the EP’s lead track ‘Wrong’ in which cinematic sound is juxtaposed against big builds, hard-hitting synths and metallic wobbles. Collaborating with Philadelphia-based Moon Beam, ‘Vector’ results in a vocal electro number with a modern edge. Rifo partners with Razihel once again for ‘Ape’s Gun’. As a former screaming vocalist for the band Hopes Die Last, Razihel’s individual style fits hand-in-hand with Rifo’s as they collaborate on the track. Together with fellow Italians Elisa Bee and His Majesty Andre, SBCR delivers ‘Blush’ which combines a gentle piano melody and raw rhythmic metal for a mature eclectic sound. Mechanical in nature with heart-racing peaks against its calculated and eerie builds, Rifo’s original ‘The Grid should satisfy fans of the aggressive Beetroots sound. Sir Bob Cornelius Rifo will celebrate the EP’s release with an intimate DJ set at LA’s No Filter on Tuesday 17 March, presented by Dim Mak. He’ll also play a Webster Hall release party on Friday 20 March for their popular Girls & Boys club night.